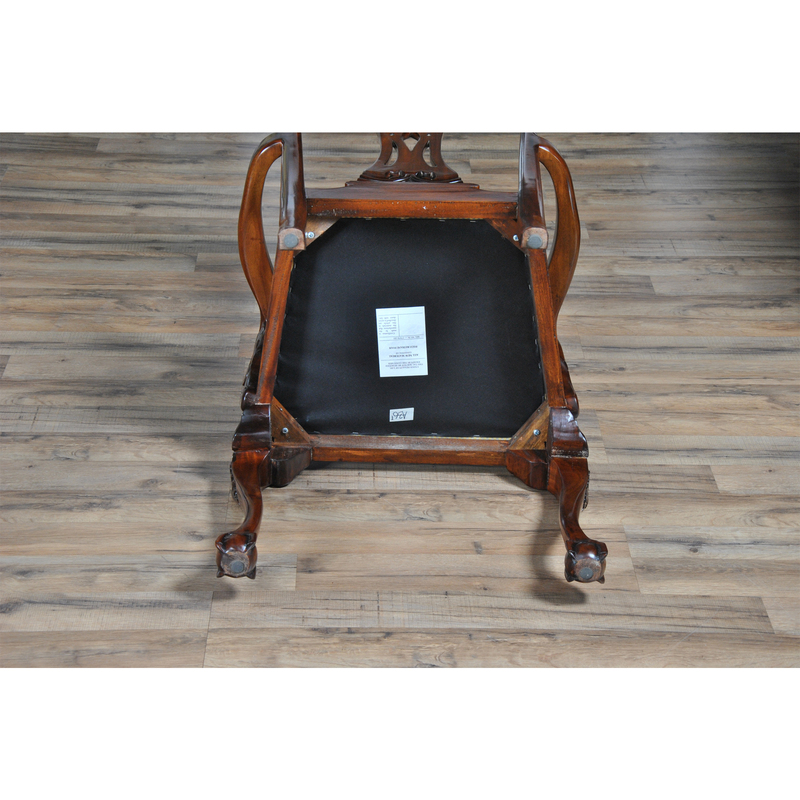 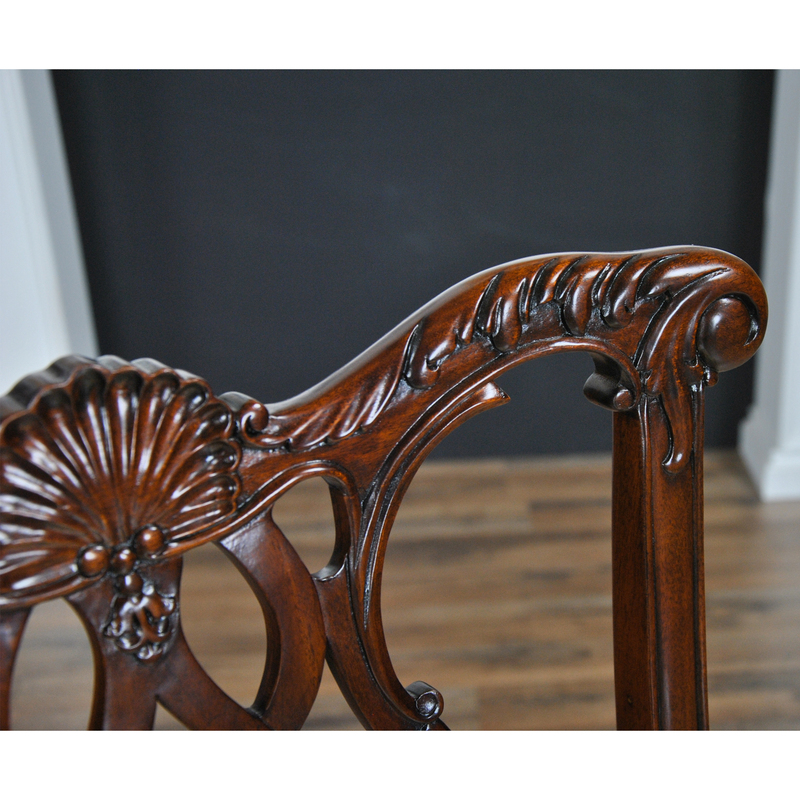 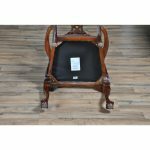 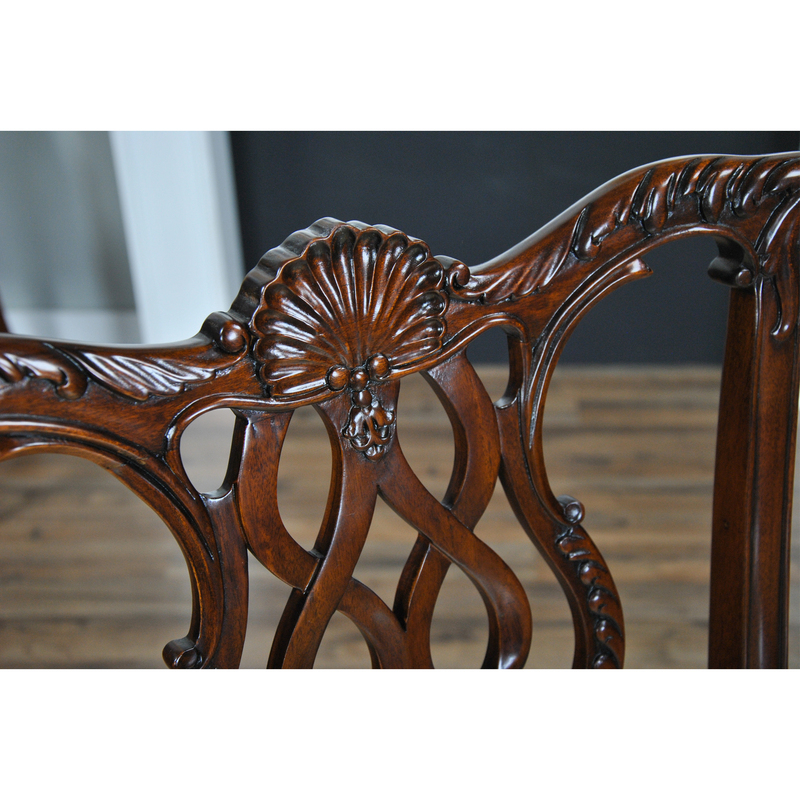 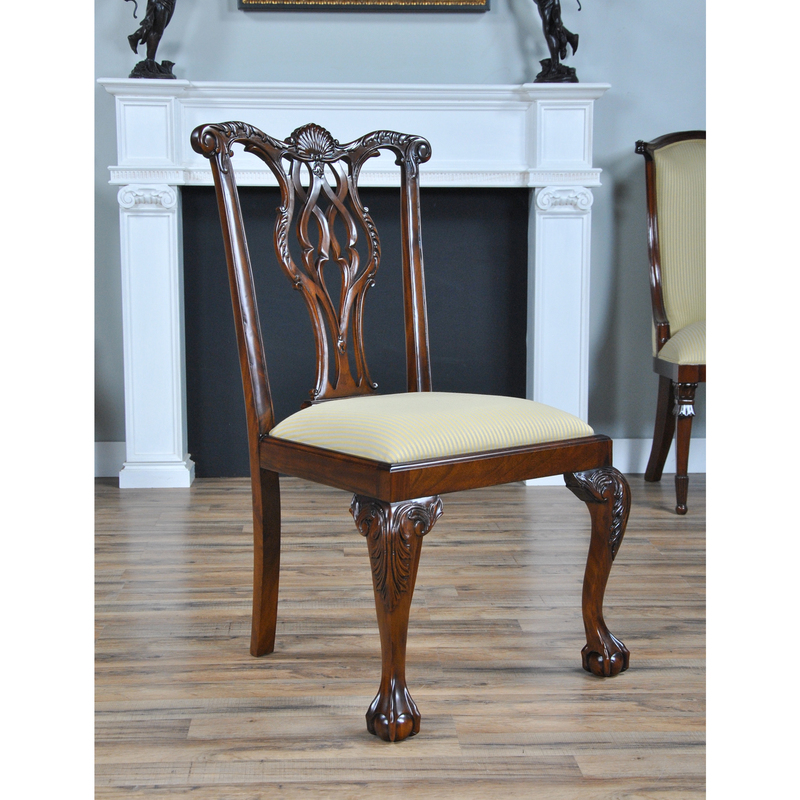 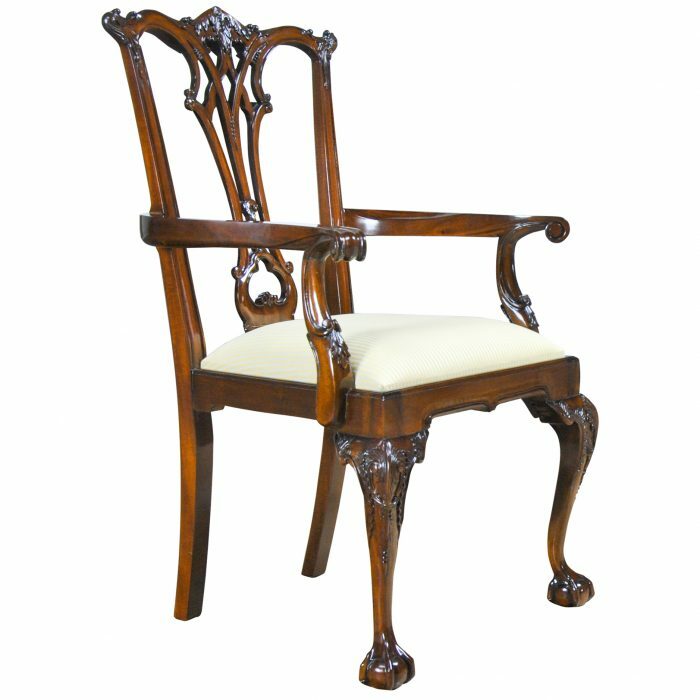 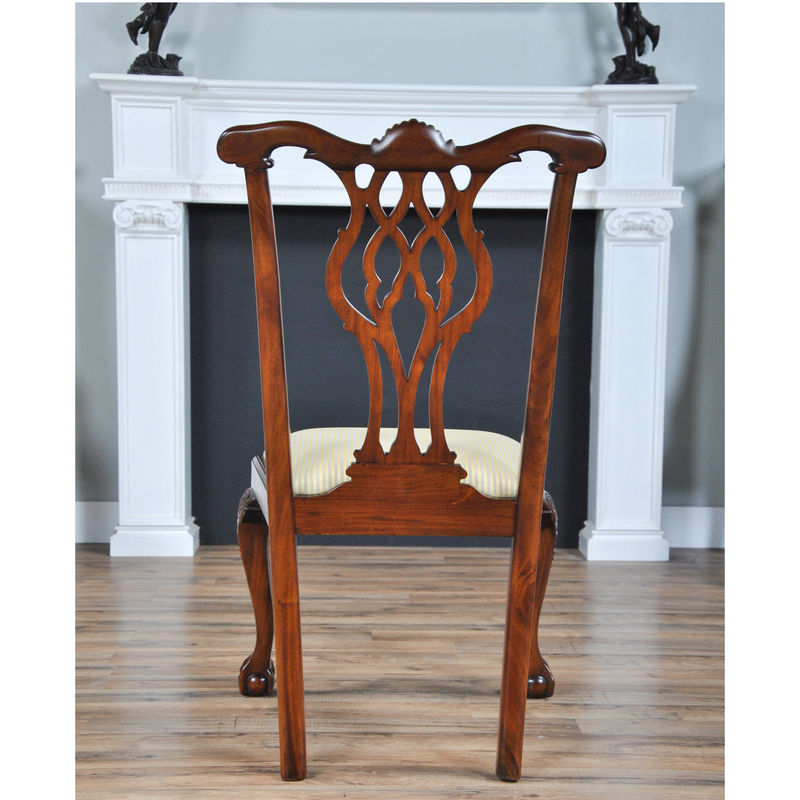 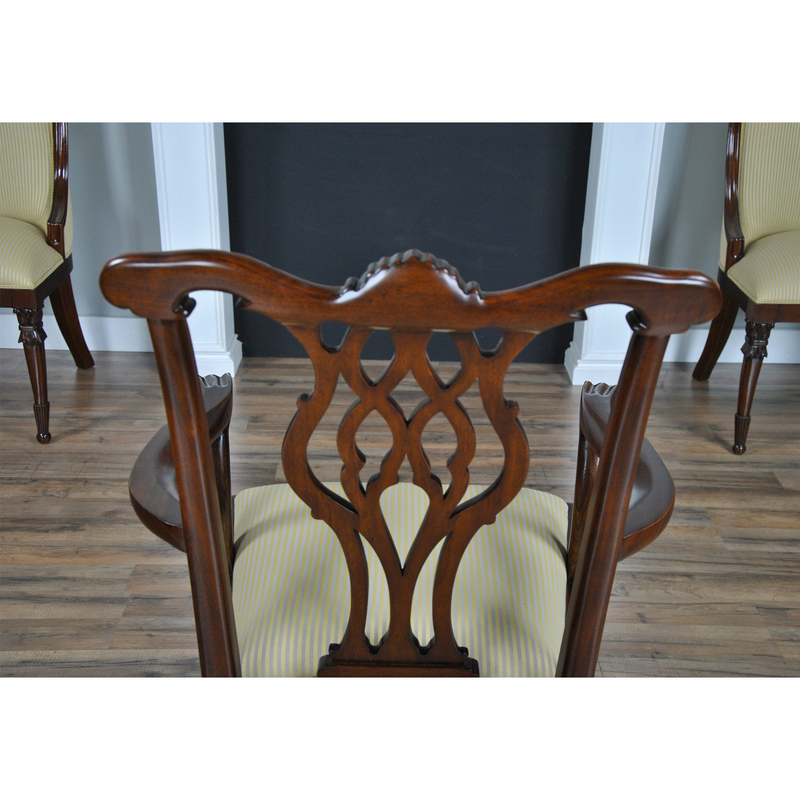 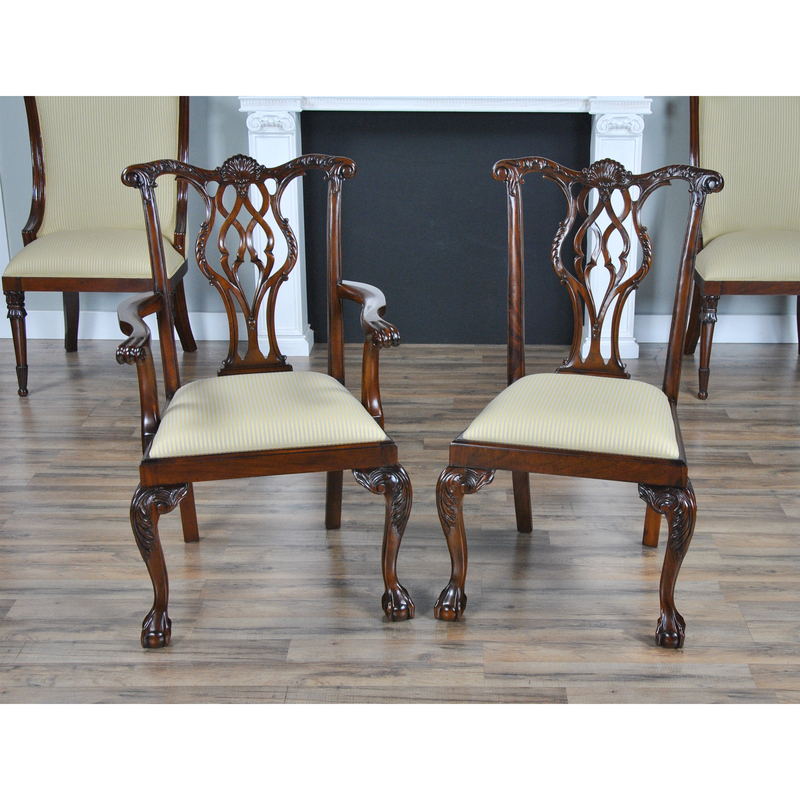 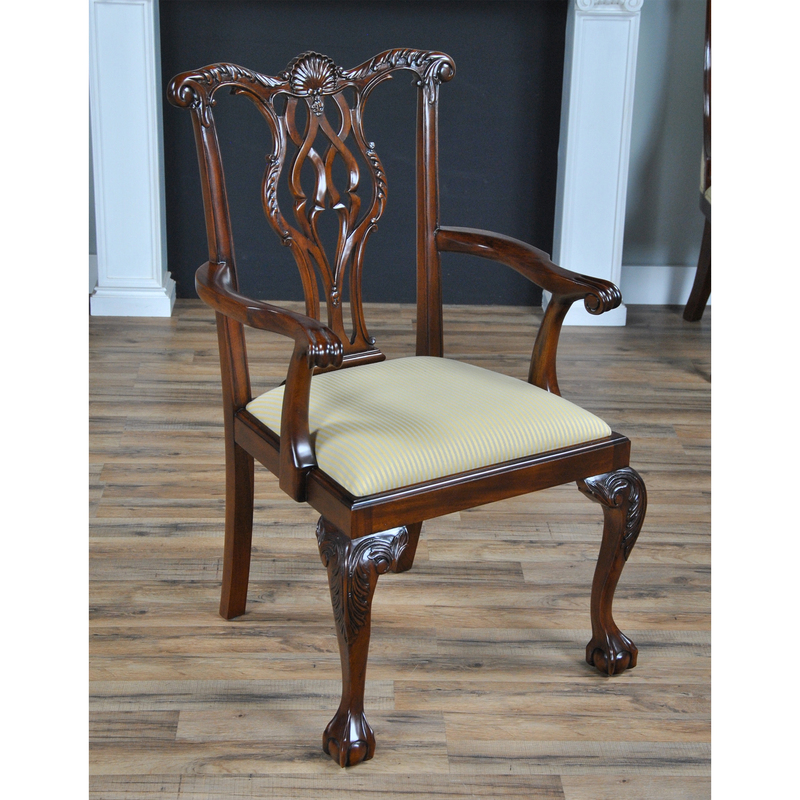 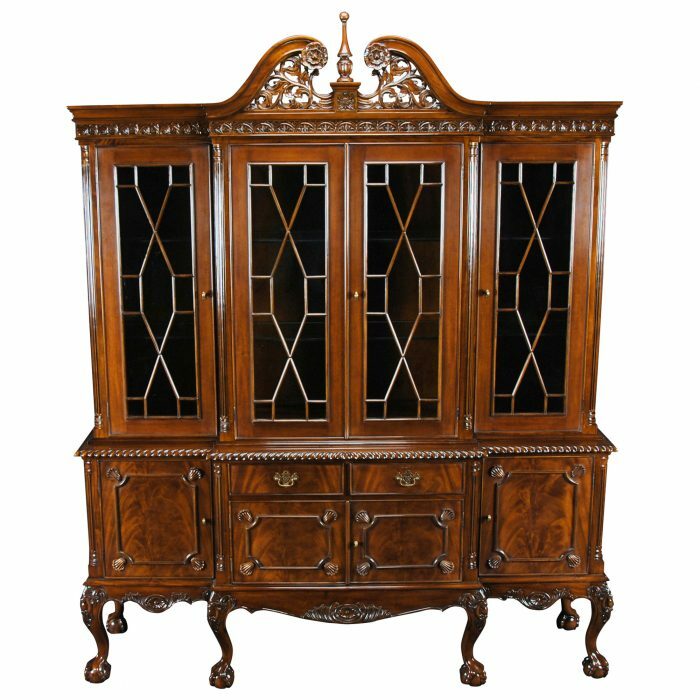 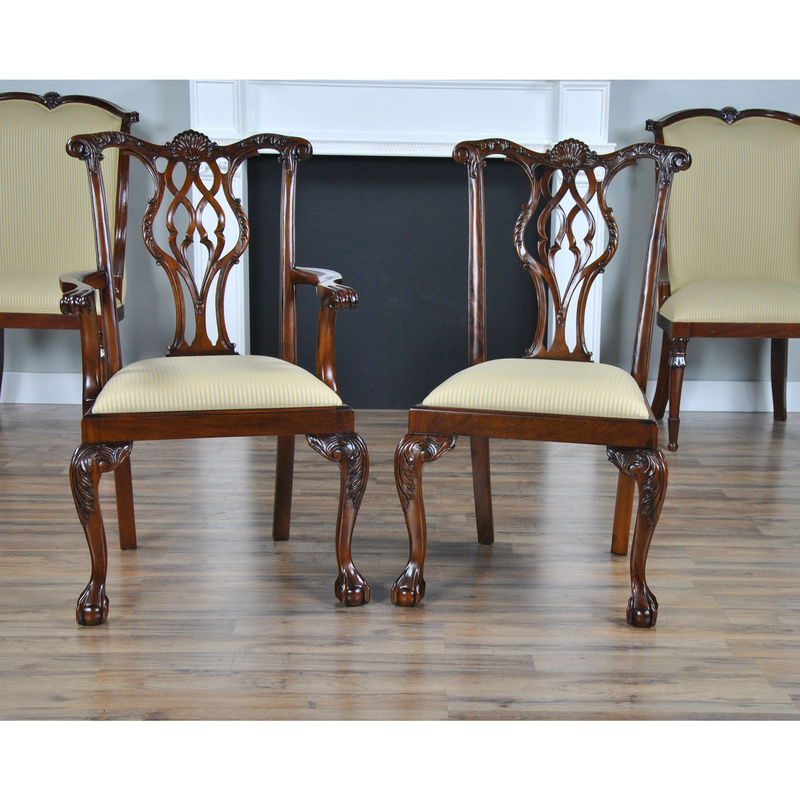 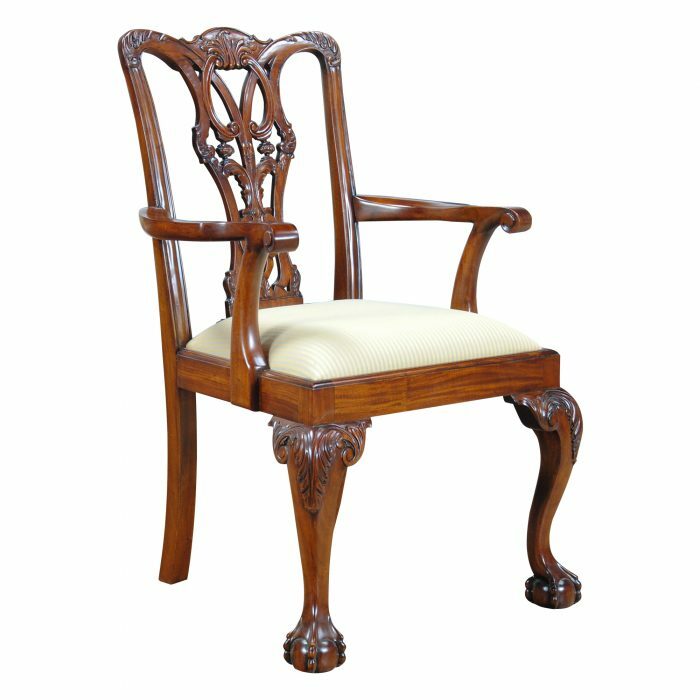 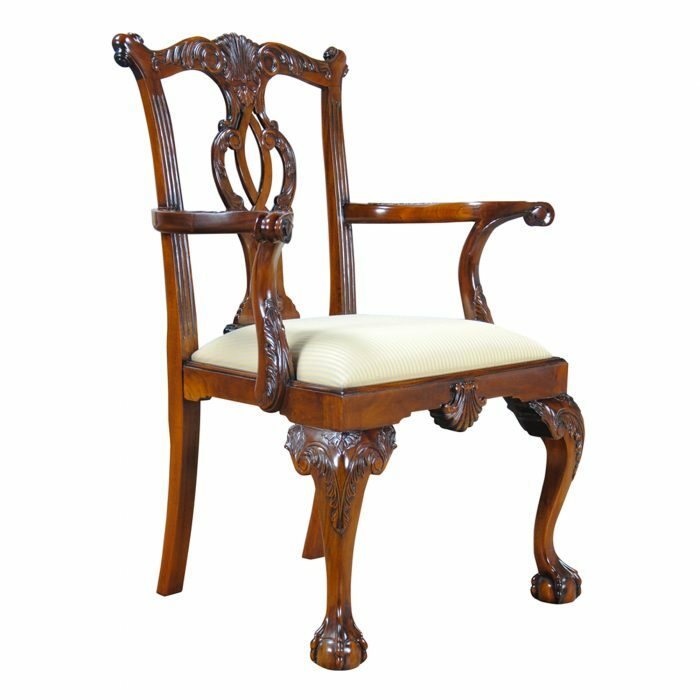 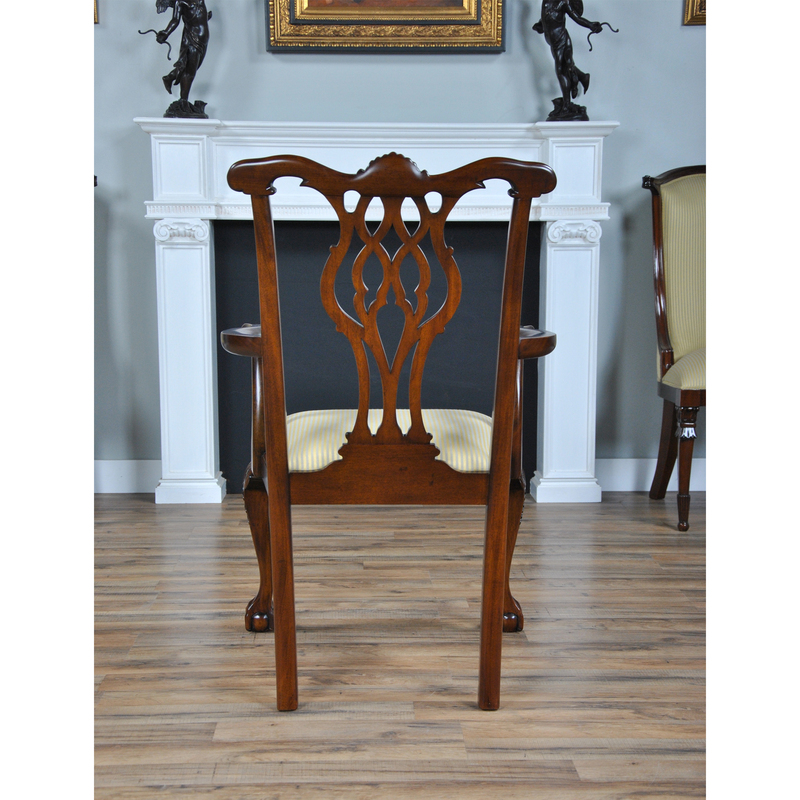 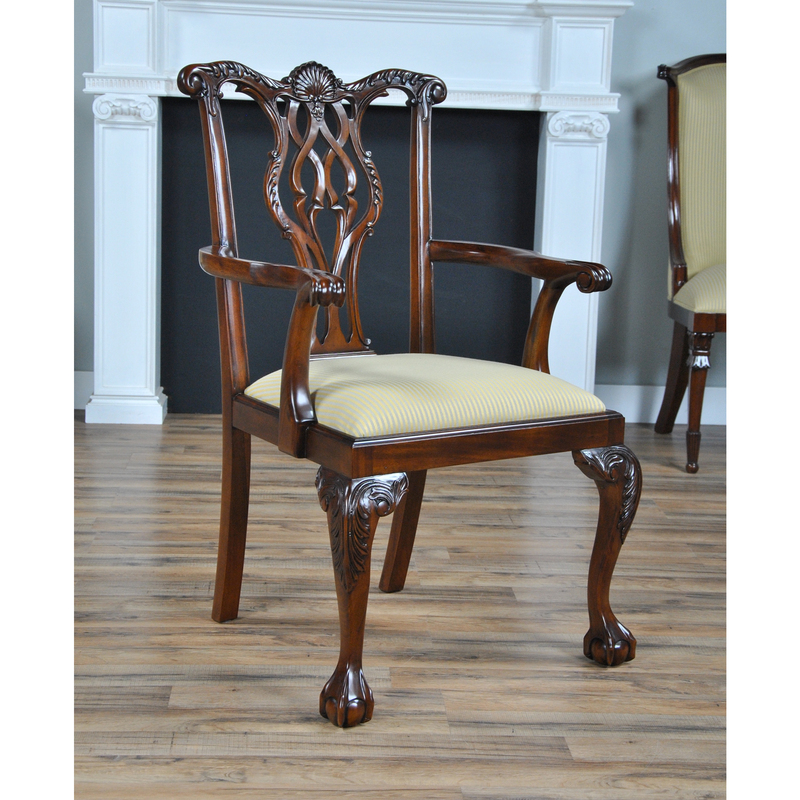 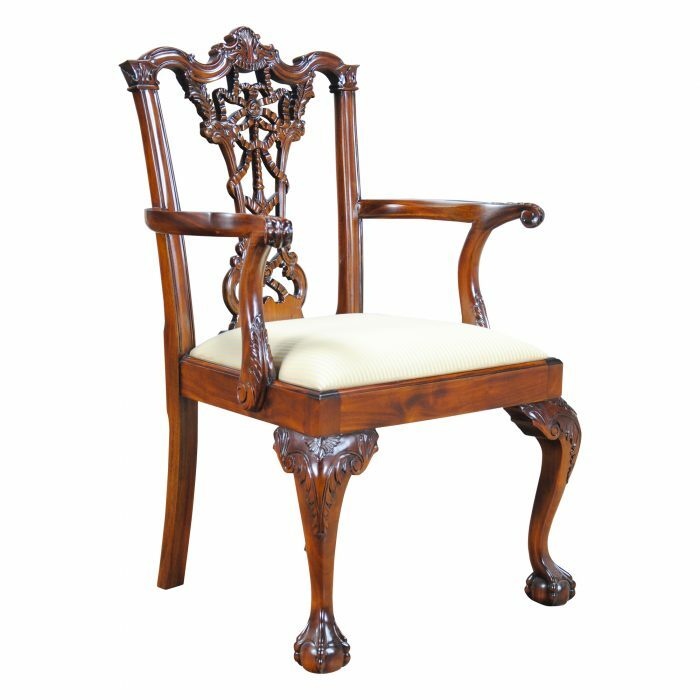 The set of 10 Shellback Mahogany Dining Chairs by Niagara Furniture, are a high end solid mahogany Chippendale style chair with a serpentine top crest rail that boasts a carved clam shell and scrolled acanthus foliage carvings above a similarly carved and pierced back splat. 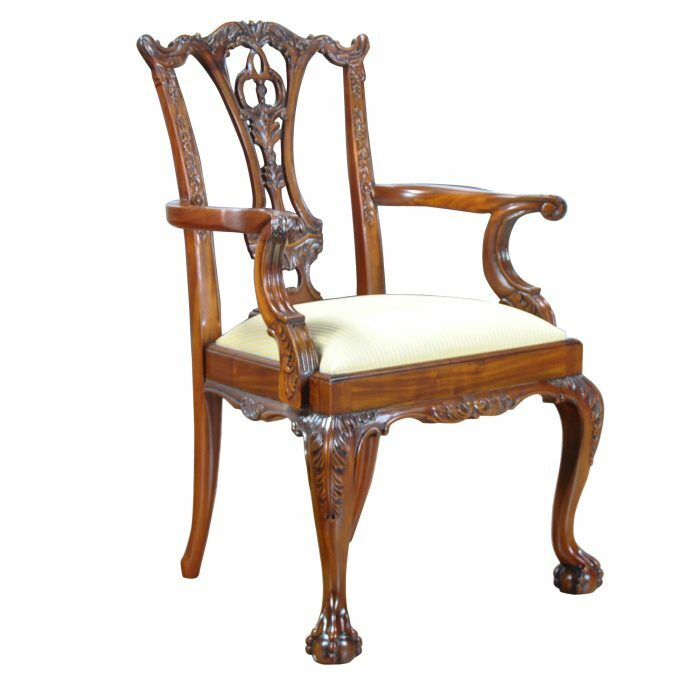 Shaped and scrolled arms, resting on carved arm supports fastened to the shaped drop in seat frame which is supported with glue blocks. 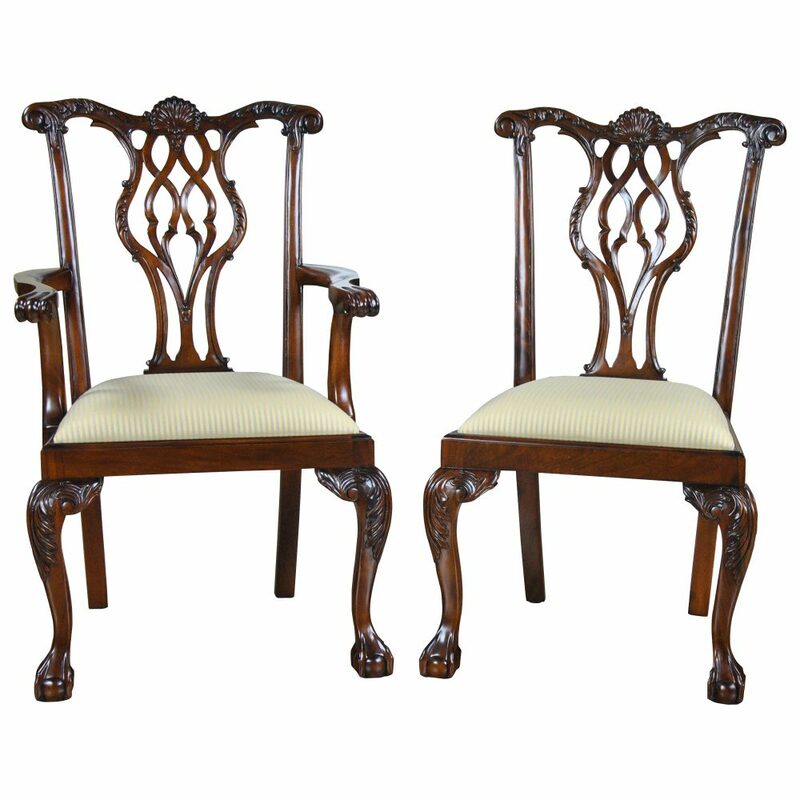 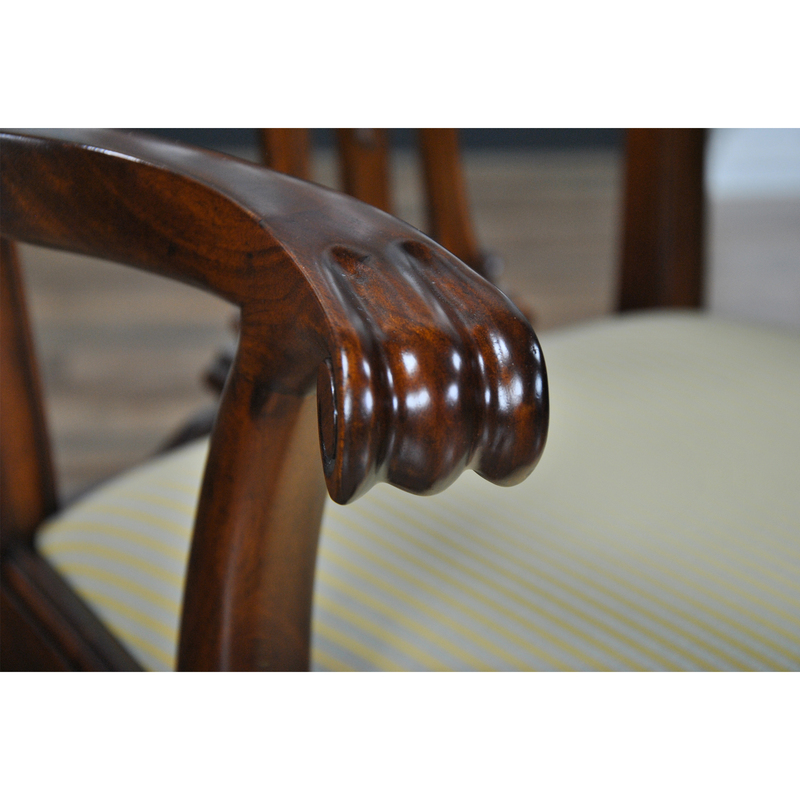 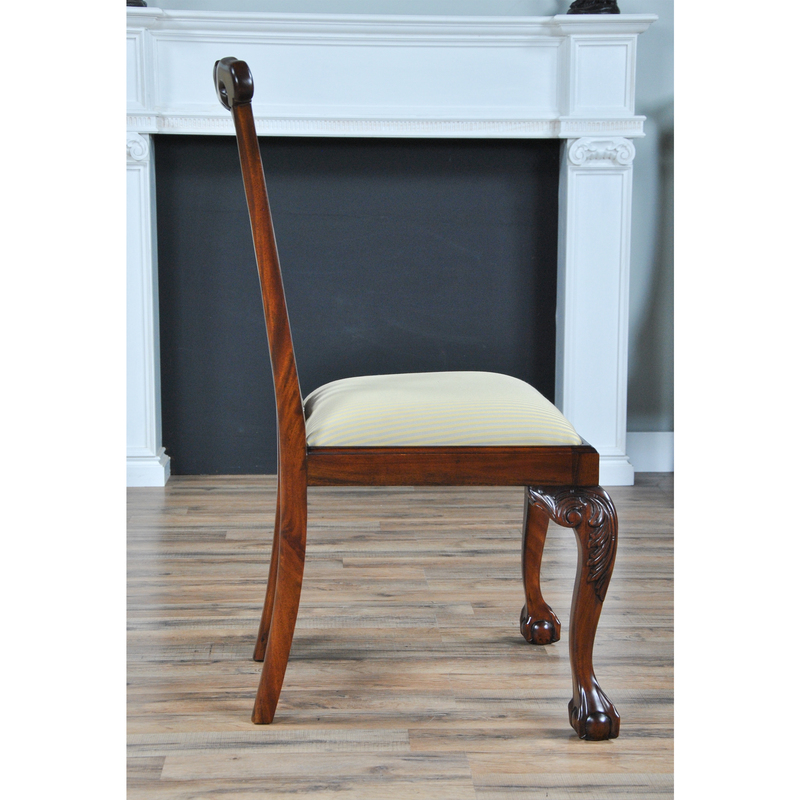 All resting on cabriole legs with acanthus carved knees and ending in ball and claw feet. 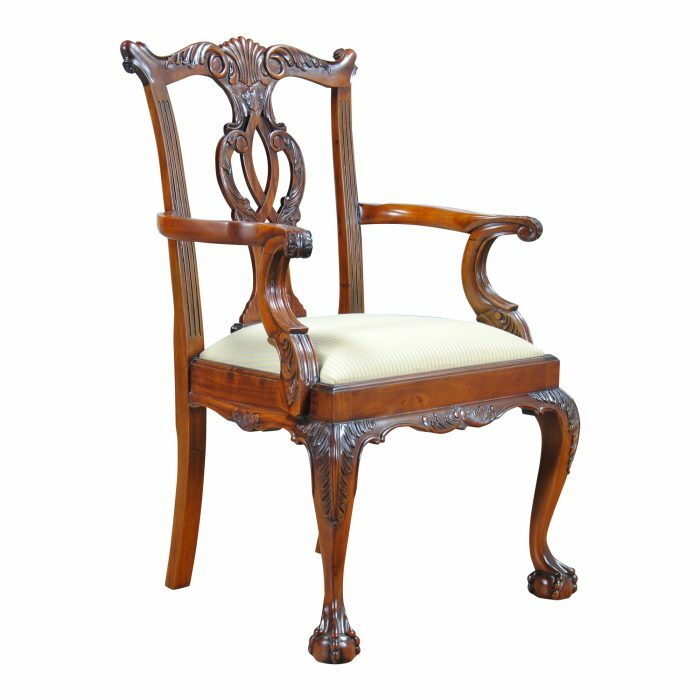 Neutrally upholstered and ready to use the moment they arrive at your home with no assembly required. 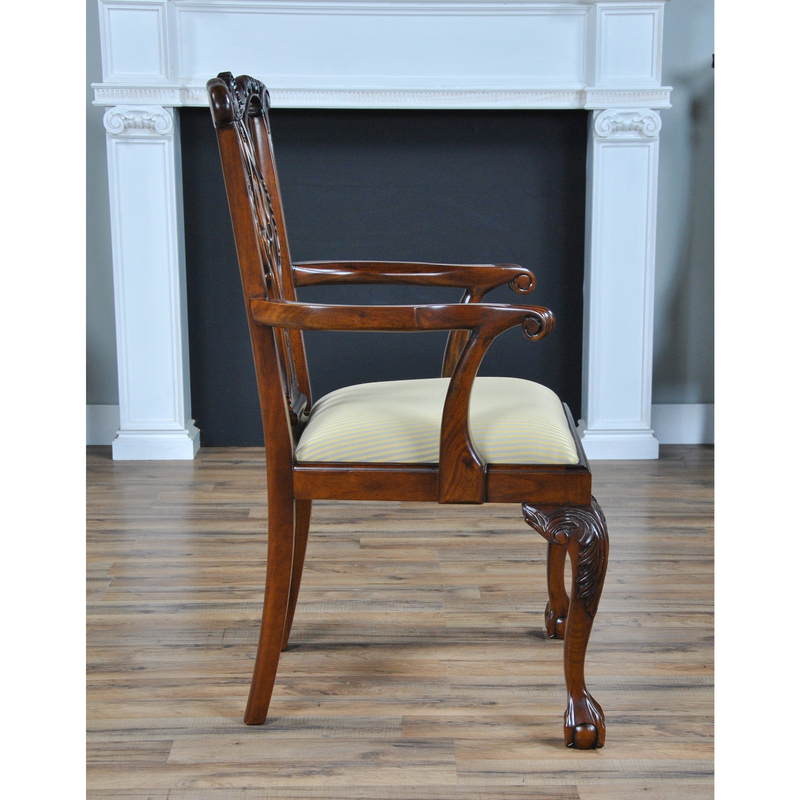 Arm Height approximately 27 inches and seat height approximately 20 inches.